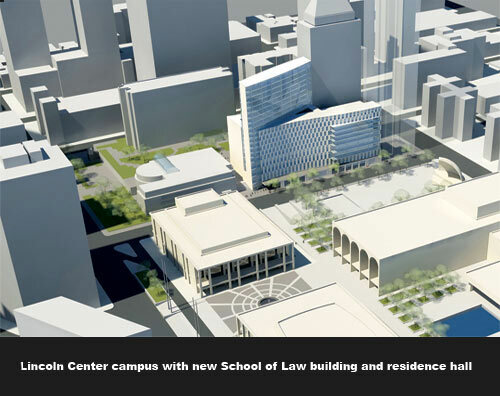 The new law school building and residence hall will feature 349,000 square feet of program space and 361 rooms. 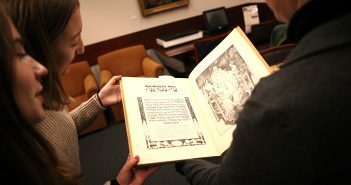 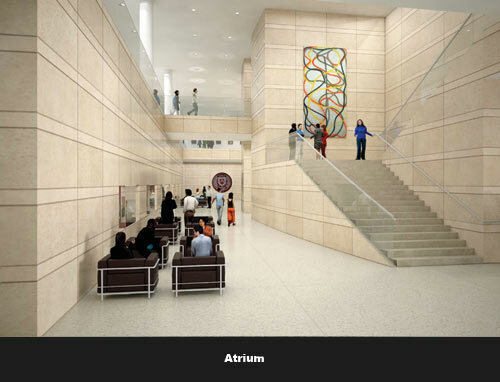 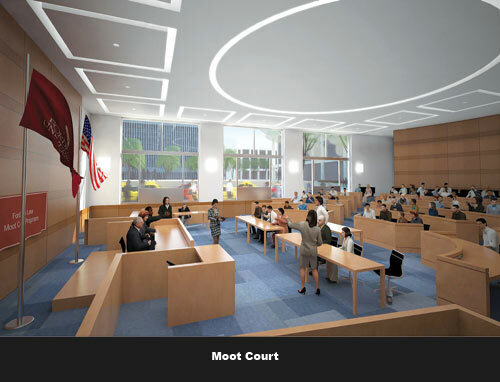 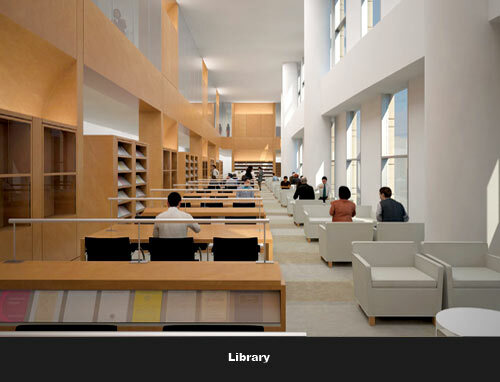 It also will boast a two-story atrium, moot and trial court facilities and a 562,000-volume law library. 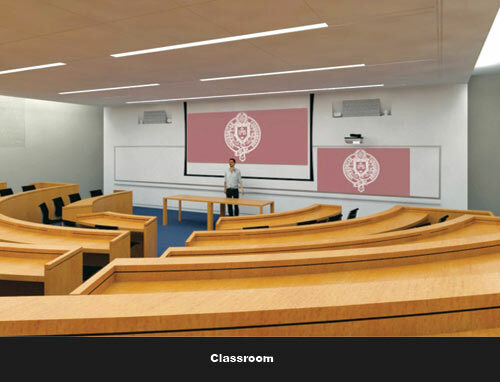 Other planned features include 26 audio visual-equipped classrooms, lecture halls, seminar and conference rooms, and an energy-efficient central plant that integrates temperature and lighting controls. 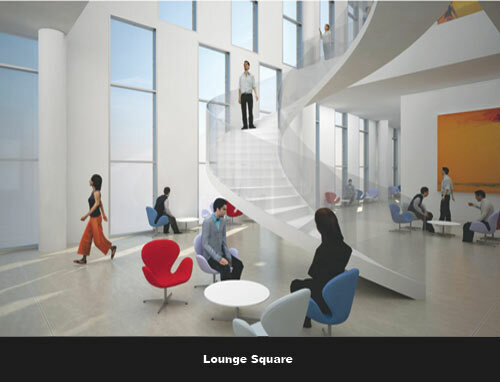 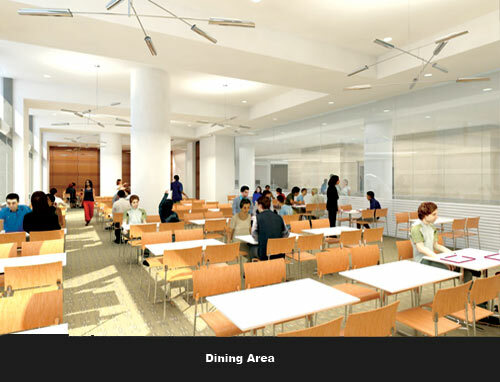 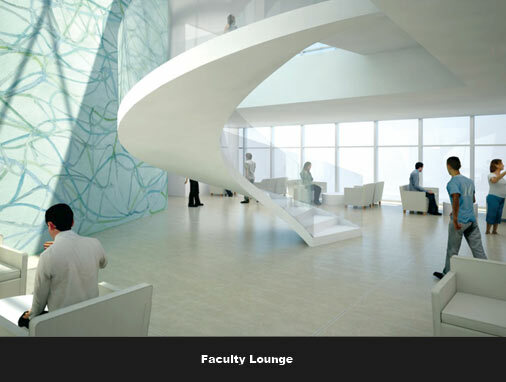 Larger dining areas, faculty and student lounges with serpentine stairways, and a reading room will further enhance the building.